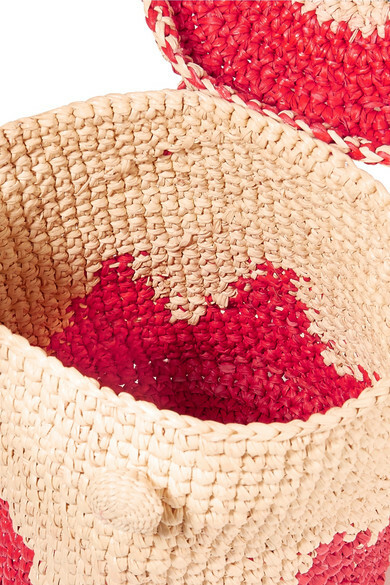 Nannacay's pieces are made for the woman who "admires the simplicity of life". 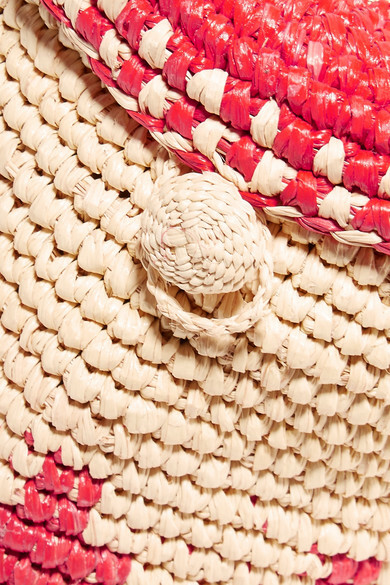 Handmade by a local artisan, this cylindrical bag is woven with sand and red raffia to create a cool two-tone pattern and opens to an unlined interior that has enough room for your daily essentials, plus sunscreen and a pair of sunglasses. 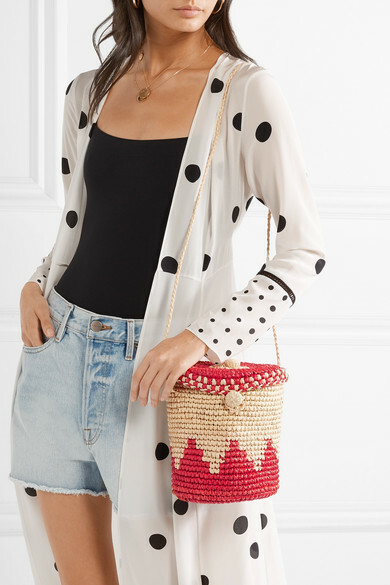 Wear it cross-body to dinner while on vacation. Shown here with: we are LEONE Robe, Eres Swimsuit, FRAME Shorts, Carrie Forbes Slides, Alighieri Necklace, Leigh Miller Necklace, Jennifer Fisher Earrings.